The Virginia government ended its last fiscal year with a $585 million surplus, the largest in eight years, because of better-than-expected tax collections from a state economy emerging from a crushing recession and dealing well so far with federal spending cutbacks, Gov. Bob McDonnell said Monday. In a sunny valedictory that contrasted with personal woes from federal and state criminal investigations, McDonnell told legislative budget writers that his administration is the first since George Allen's in the mid-1990s to end all four fiscal years with unspent balances totaling nearly $2 billion for his single, non-renewable term. Unspent cash in government accounts and cost-cutting measures accounted for $320.7 million, or 54 percent, of the final surplus for the budget year that ended June 30, McDonnell told lawmakers, while the state took in $264 million more from general tax collections than forecast. That, he said, pays for the 2 percent pay raise that kicked in for state employees on Friday -- their first since 2007 -- and boosts the state's “rainy day” reserve fund to more than $1 billion, or almost 3 ½ times the size of the fund at the recession's 2010 depths. It also slowed what had been meteoric public college tuition increases because of $400 million applied to higher education. Va. Gov. 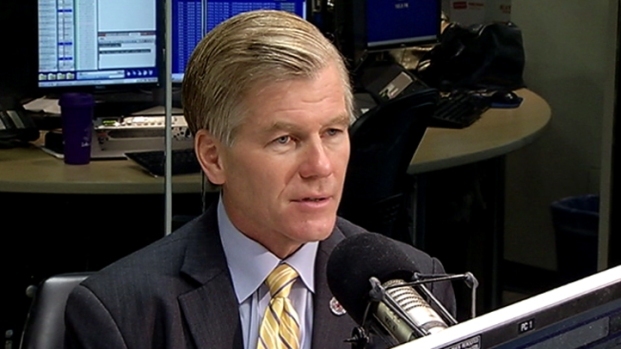 Bob McDonnell's lawyers are meeting with investigators today in the continuing probe into gifts the governor and his family received from a politically connected donor. But there was good news for the governor as well: a $585 million state surplus. “Our good performance is concrete evidence that the commonwealth's job picture is improving, the real estate market is improving, and the overall economic conditions that are promoting private-sector job growth are also improving,” McDonnell said in his annual August address to the House and Senate committees that oversee taxation and spending. His final appearance before them comes in mid-December, less than a month before he leaves office, to present his final executive budget. The final numbers from the 2013 state fiscal year show that revenues topped overall forecasts because taxes collected on dividends and the self-employed, as well as levies paid to record real estate deeds, contracts, wills and lawsuits exceeded expectations while the state's income tax refunds were down by 4 percent. They reflect robust capital gains and significant non-wage income and a home mortgage industry that has come roaring back from a historic meltdown four years ago. The number of individual non-withholding tax payments of $100,000 increased by 50 percent, from 1,177 in fiscal year 2012 to 1,771 in the most recent year, accounting for an additional $591 million. Brisk home sales after four years of pent-up demand increased recordation tax collections for the past year by 12 percent. What didn't meet expectations was the tax withheld from paychecks, which Finance Secretary Richard D. Brown said showed a substantial decline in the final three months of the last fiscal year because of a decline in federal contracting in Virginia. The state relies heavily on federal spending from next-door neighbor Washington, D.C. Withholding taxes, which account for nearly two-thirds of all general state revenues, came in $115 million -- or 1.1 percent -- shy of their budgeted estimates. McDonnell urged lawmakers to keep a wary eye on another potentially harmful game of federal budget brinksmanship between a Democratic White House and a Republican-ruled House. The governor said the worst bite from federal cuts known as sequestration that began in March likely lies in wait. “Policies and indecision that comes from Washington will potentially have a tremendous adverse impact on all of the states, and especially Virginia,” he said, focusing on potential national defense cuts resulting from sequestration and the economic hardship it could inflict on a state that is home to the Pentagon, 19 military bases, about 150,000 active-duty armed forces personnel and 837,000 veterans. McDonnell stuck to his cheery fiscal message both in his prepared remarks to legislators and in comments later to reporters. He refused to discuss media reports about the ongoing federal probe of the relationship he and first lady Maureen McDonnell had with Star Scientific Inc. chief executive Jonnie R. Williams Sr., a major political donor and personal benefactor whose gifts and loans to members of the governor's family topped $145,000. Authorities are investigating whether McDonnell misused his office or state authority to benefit Williams or his nutritional supplements company as a result of Williams' gratuities, many of which McDonnell says he has repaid.